This full bodied H. Jimenez Bajo quinto is designed with a well-seasoned and close grained resonate spruce top with no micas. The back and sides are rich Mahogany trimmed with maple and rosewood edges. 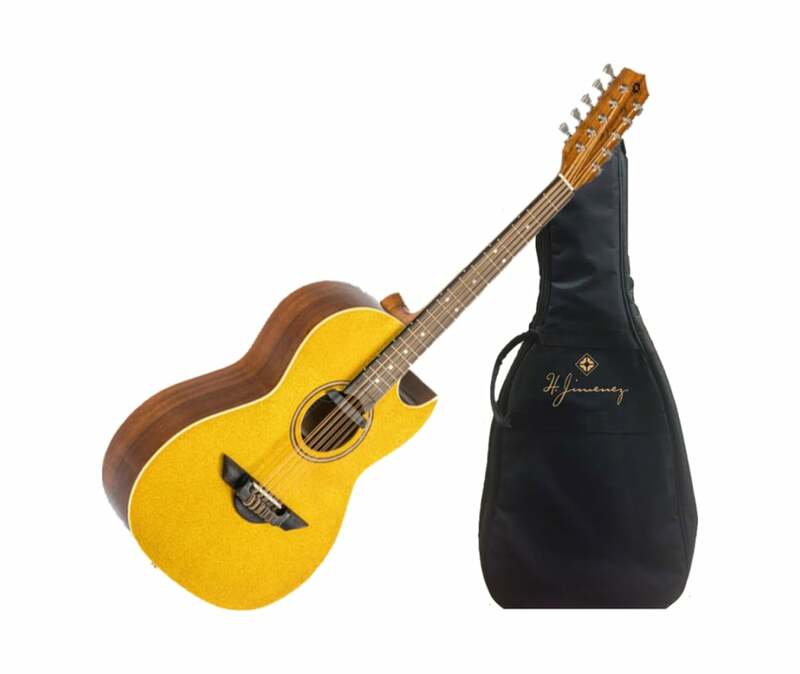 It has easy playability with a strong voice to punch through and be heard. An 18 fret Rosewood fingerboard with the H. Jimenez signature laser logo and the special "Thunderwing". Rosewood saddle bridge are standard features. Equipped with factory installed natural sounding soundhole Seymour Duncan pickup. This sleek passive no-hum design has a convenient on-board volume control and is wired directly to a strap button/end pin style jack.